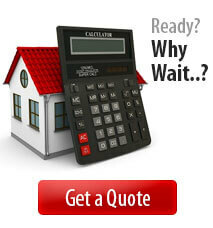 Let us make home selling easy for you. Selling a home is a “process,” not an “event.” Don’t treat it otherwise. We encourage our clients in the Gainesville, VA area to begin their process as much as ten months in advance of their anticipated move date. There are a number of factors that come into play when considering when to begin the process. One obvious factor that heavily affects the outcome of your home sale is the current state of the market. If the current market suggests that it is a “buyer’s market,” more inventory supply and longer time to sell, you should get started with the process sooner than later. One not so obvious factor that determines when to get started with the home selling process is whether your property might need any repairs or improvements in order to get it into competitive “showable” condition. Many of the homes in the Gainesville, VA area are just beautiful, so you’ll need to make sure yours stands out! Homes that are competitively staged are usually more desirable to potential purchasers, thus you want to make sure that you have done all you can to get your property ready for the market. (Click here for more about staging homes). You decide to investigate moving. You need to determine your existing home’s value and whether any repairs or improvements are necessary prior to placing it on the market. You need a REALTOR to guide and assist you. You contact Linton Hall, Realtors® for a FREE, NO OBLIGATION Consultation. Estimated sales price for your Prince William County home derived by a professionally prepared “comparative market analysis” of recently sold properties in your area that are similar to yours. Estimated “net proceeds analysis” that suggests how much cash you are likely to retain from the sale of your home after all expenses are paid. Determine which optional marketing plan is best suited for your specific needs and wants. Timing and positioning are considered. 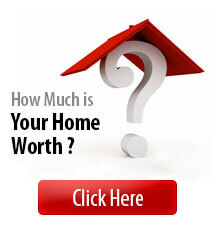 Free Tips and Secrets on how to prepare and stage your property to market your home for all its worth! Make any necessary repairs or improvements that you consider to be viable & worthwhile. Use Linton Hall, Realtors® preferred vendors, contractors, and handyman specialists to assist if you need it. Begin “Pre-Marketing” phase of the property, if applicable. Phase 1 of our marketing plan begins. Buyers begin visiting your house for consideration. Phase 2 of our marketing plan begins; if necessary. Purchase offer submitted by prospective buyer interested in your property. Consider buyer’s offer and discuss with your agent. Accept, reject, or counter-offer. House and contract pass all inspections and contingencies. Begin boxing up your belonging and personal effects. You are preparing to move. Moving truck arrives. Your house is now completely vacated unless otherwise agreed to in the sales contract. Settlement / Closing at settlement agent’s office.